For many years the engineering community has been specifying helical piles for deep foundation support. 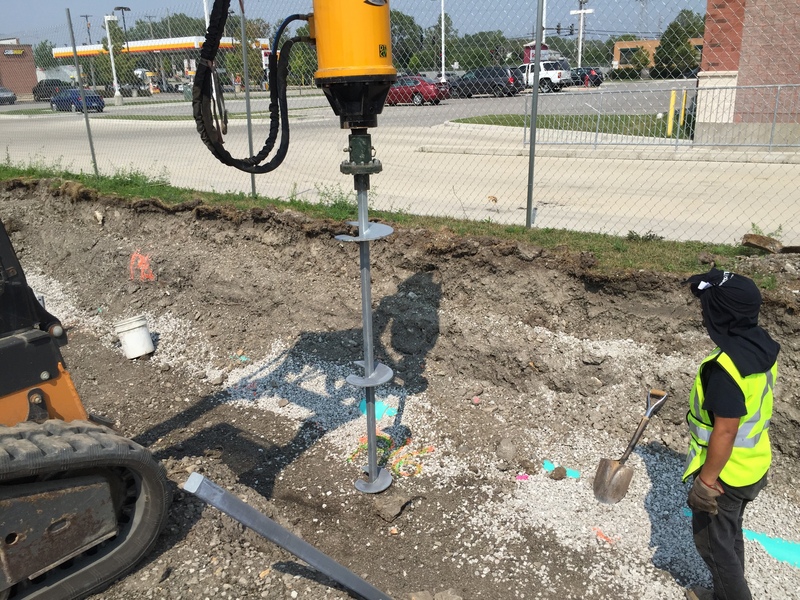 Helical piles are used when competent soil is not present and soil conditions are in a constant state of flux. 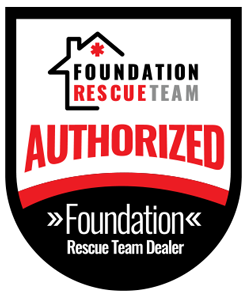 Shifting and unstable soils put at risk the structural integrity of a foundation. Helical Piles can be installed year round in any conditions prior to the start of foundation construction to prevent the effects of changing and adjusting soil conditions. 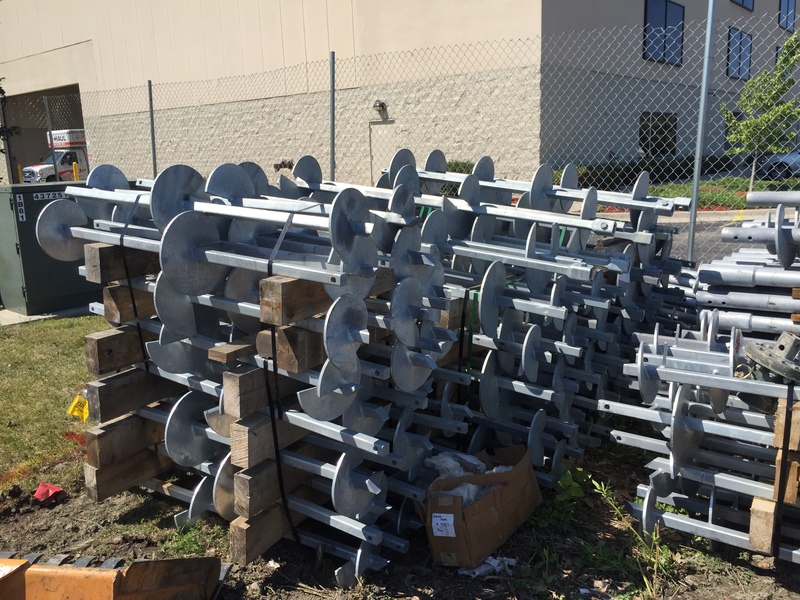 Helical Anchors are installed by hydraulically advancing the anchor to a predetermined depth based on soil samples and data then measuring torque of the Anchor during the installation process. The required amount of torque to install a Helical Anchor is related to the installed ultimate capacity. Helical Anchor spacing and Anchor size is based on depth and ultimate capacity. 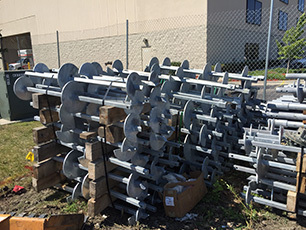 Anchors are installed between the footing forms and are tied together using rebar or steel mesh grid typically. 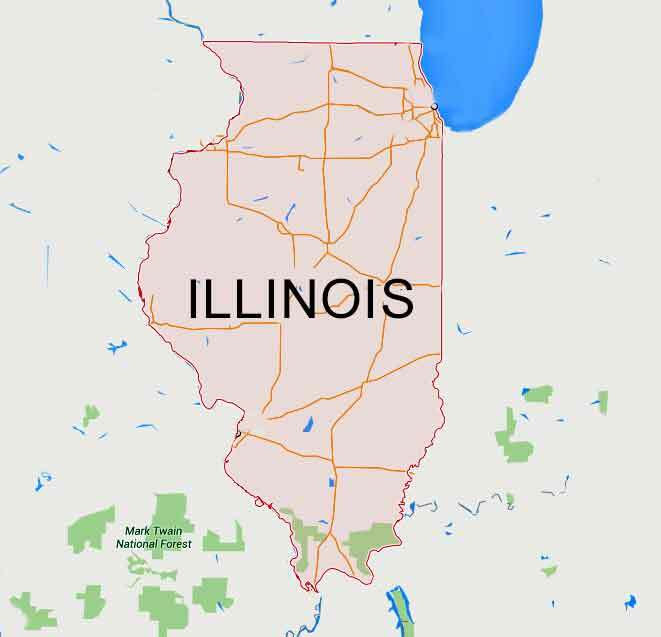 Contact United Structural Systems of Illinois for your next new construction project that have Helical piles specified.